"Anyone can achive things if they really want to. That's why they say your efforts will always pay off" The model is developed on the basis of Kasumi Basic and conveys the elegance of this beautiful player. It uniquely combines the power and control. Recommended for different levels of play. Made in Japan. First of all its handle diameter is quite small and it is perfect for my hand. Second, it is an ALL+ / OFF- blade with no vibration and not so heavy; its power is good and control is very good. Finally, its quality is very high (like all Nittaku blades) and price very affordable. This blade is surprisingly fast for a 5 ply pure wood blade. It has some flex, but not too flexible so its good for looping, but good for smashing too. Blocks and pushes are very good. The quality of build is excellent, just like other Nittaku blades. It has good feeling with some vibrations. It's the perfect, cheaper alternative of Nittaku Acoustic. Super quality as usual from Nittaku. Large headsize 158x152mm. Hard and fast compared to woody blade. I'm just delighted with the comfort of the handle. Very similar feeling to Acoustic. But head size and the handle are both bigger. The Nittaku Latika was my second purchase from TT11. I wanted to try a Nittaku all wood blade but didn’t want to splurge on an Acoustic just yet. Eventually I did. 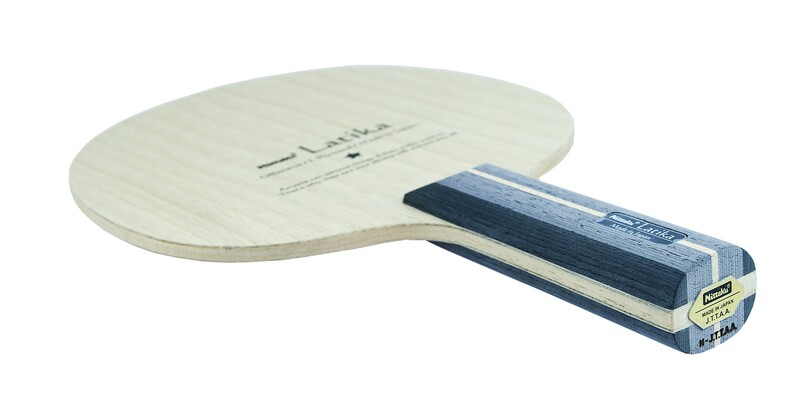 The Latika is very similar to the Acoustic, It is a tad bit harder, which makes looping and blocking fantastic. The handle is nice and long and fits perfectly in my hand. I love its control while still having enough power to finish a point. Just like all blades, the rubbers need to coherently fit with the blades profile. For me, that is the Evolution MX-P and FX-P. Together with the Latika, I remember why I love TT so much. However, I do prefer the Nittaku Acoustic. 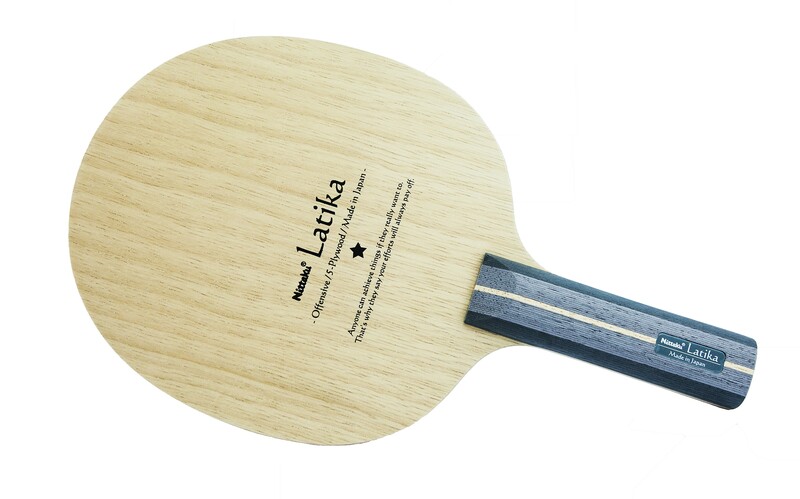 The Latika is a worthy purchase just the same. Highly recommended. TT11, as always provided a top notch customer experience. From their recommendation, to the perfect build and the efficient free shipping. I bought this blade with Nittaku Flyatt Soft on BH and Nittaku Flyatt Hard on FH. Previously i've owned Tibhar Balsa Fibre Off 60 with EL-P on both sides, so i'll try to compare this blade just with my previous setup. It's good and controllable blade.Slower than Tibhar that i had before, and honestly combination of rubber i choose was not good. While Flyatt hard was pretty good when I played it on BH and FH, Flyatt soft was hard to control and I needed to make a lot of adjustment in order to get my shots land on table or go over the net.Actually i just switched to play soft on FH and hard on BH. Such setup gave me a way better control on both sides and very spinny FH loops. I would say this blade is good for Allround style of play with good ball feeling and little vibrations. It is absolutely the same as Kasumi basic; the only difference is that latika is 2 mm longer. It has an ideal mix of power and control. Для игроков среднего уровня просто находка. Подходит для игры как в защите так и в нападении. Контрольное хорошее основание для развития и работы над техникой. Качество исполнения отличное. The base is made perfectly, the ST handle fairly long, very comfortable, and feel some velvety. Speed - Normal OFF, like the Japanese Korbel, but a little softer. Weight of my copy - 81 gr. I recommend! Special thanks to the team for tabletennis11 efficiency and cool assembly racket. In my opinion this blade is very good for looping. It has a nice touch and I also like the slight vibrations. It is as if it were alive. Качество исключительное. Как обычно Nittaku ручка узковата. Баланс умеренный в голову. Верхний слой limba. The blade is I gor was only 83 gramms. Very nice finish. 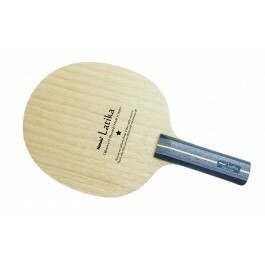 Has good feeling and is a little bit softer and slower than Butterfly Timo Boll ALC. But just a little. Very good good for all wood blade!